So this year I’ve decided to use the word for the year approach, I forget where I first learnt about it, but it’s pretty well known now as far as I can tell. The idea is you choose a word that guides your desires, goals and life in general, for the coming year. This affords some flexibility with regards to resolutions, so at any one point it’s easy to think is this choice, decision or action in sync with my life for this year, based on that word. There are numerous approaches to choosing a word, there are no hard and fast rules really. Choose a word that resonates with you, choose a bunch of words and journal about them and see which ones feel like a good fit. Some points to to consider in this process are the various areas of your life and the different roles you play. Once you’ve narrowed down your search, you can look up synonyms of that word and see if those are a better fit. And voila, there you have it, a succinct way to set your resolution for the year, without writing out a long list that may never see the light of day until the end of the year. My word for last year was flourish and looking back on the year, I can definitely see lots of flourishing. 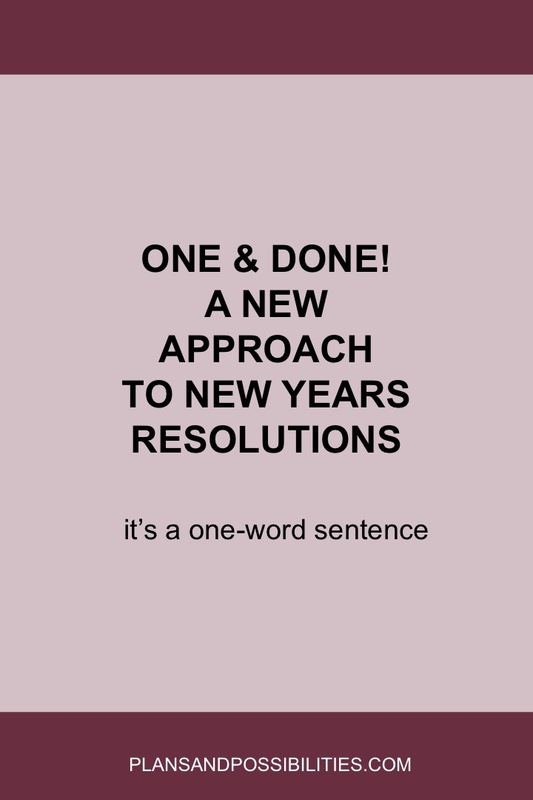 This year, without spending too much time choosing a word, honestly it feels as if the word chose me…it’s ‘finish’. I started a lot of new endeavours last year and made good progress, however a lot of last years projects and even older ones are ready for completion and closure. So finish feels like a very apt word to guide me this year. Have you chosen a word for the year or has a word chosen you? Let me know in the comments below.